Fire crews are checking for any remaining hot spots at the site of a vegetation fire that sparked Thursday afternoon near homes west of Morgan Hill, Cal Fire officials said. 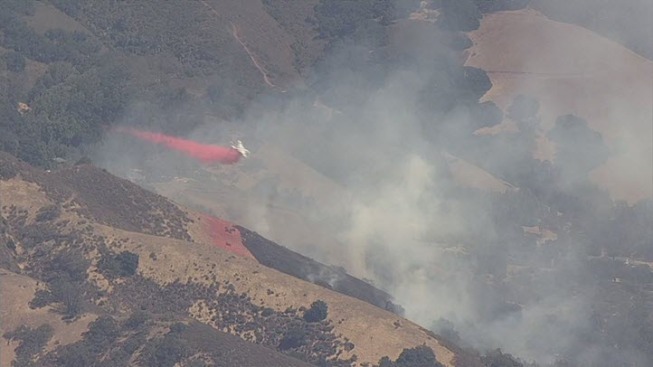 The fire in the 17000 block of Oak Glen Avenue near the Chesbro Reservoir was reported shortly after 1:30 p.m., according to Cal Fire. An initial report indicated the fire was small, but quickly grew to 11 acres, Cal Fire Capt. Joshpae White said. Crews initially estimated the blaze was 25 acres, but after using a GPS device around the incident's perimeter determined the fire was 11 acres, White said. There were about 150 firefighters working to extinguish the blaze at its peak, White said. On Friday, Firefighters focused on conducting mop up operations and looking for any hot spots, according to White. Residents were evacuated from their homes until about 9 p.m., White said. Road closures near the fire were lifted at about 10 p.m., he said.